He is the most learned complete scholar, the Muhaddith of the two Holy Sanctuaries: Umar bin Hamdan bin Umar bin Hamdan al-Mahrasi, originally from Tunisia and then migrated to Madinah the illuminated, Maliki by way of madhab. He was born in Mahras in the year 1292 Hijri. When he reached 11 years of age he travelled with his father to Madinah the illuminated. In Madinah Allah expanded his heart towards sacred knowledge. He memorized the Quran with Shaykh Ibrahim al-Taruf, then proceeding to the memorization of various texts in the Islamic sciences along with their study with the notable scholars of his time. He paid specific focus towards the Arabic language along with the study of the Maliki school of fiqh, and he became well known for his intelligence and scholastic ability. From the major scholars he studied with in Madinah the illuminated were: Sayyidi Muhammad bin Jafar al-Kattani, Sayyid Ali bin Zahir al-Watri, Sayyid Ahmad bin Ismaeel al-Barzanji, Shaykh Falih bin Muhammad al-Zahiri al-Mahnawi, with the latter whom he studied logic, but in the sciences of grammar and balaghah he surpassed his contemporaries such that Shaykh Umar said a number of times about himself: “I am a Mujtahid in these two sciences (grammar and balaghah)”. When Sayyidi Muhammad bin Abd al-Kabir al-Kattani visited Madinah the illuminated Shaykh Umar kept his company and benefitted from him. He then turned his attention to the study of hadith which included a reading of its literature and study of its various sub sciences. He read with his teachers the six books of hadith, the ‘Shamail’, the ‘Muwatta’, the ‘Shifa’ and other works. 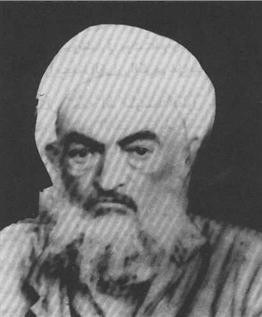 Madinah was then visited by Sayyid Abd al-Hayy al-Kattani in his first visit to the Hijaz. Shaykh Umar kept his company, took ijazah from him and requested prayers (dua) from him. He was subsequently blessed with divine aid and abundant good which raised him to a lofty rank and position. After his years of seeking knowledge he was ordered by his teachers to begin teaching, a request of theirs which he answered. Many students benefitted from him, he taught Maliki fiqh, Usul, Nahw, Sarf, Balaghah, Ishtiqaq, al-Wad’, Hadith and Tafsir. Legal queries would come to him from numerous places, which he would answer as if the reference works were open before him. He taught in the sacred Madinan Haram along with lessons at his home in Madinah, the Makkan Haram, the Sawlatiyyah and Al-Falah Madrassa’s . When in the Haram he would have in front of him a large number of books in which he would research issues during both night and day. He would often sit in retreat by the ‘Bab al-Umra’ where he would sit in seclusion. He became well known for his teaching during the winter in Makka and in the summer in Madinah. He was given the title of the ‘Muhaddith al-Haramain al-Sharafain’ due to his concentrating on the teaching of hadith. He completed the reading of the six books of hadith a number of times, likewise he completed the reading of the ‘Mustadrak al-Hakim’, ‘Majma al-Zawaid’, the ‘Shamail’ of al-Tirmidhi, and ‘al-Shifa’. He visited a number of countries in the cause of knowledge. He visited al-Shaam, Egypt, Libya, Tunisia, Algeria, Morrocco, Mauritania, Yemen and Hadramawt. During his travels he met many of the major scholars of those lands to whom students would set out to travel to. He took this opportunity to take benefit and give benefit to others, not tiring from researching, studying with scholars and teaching. Allah (the Exalted) blessed his time during these journeys. From the Haramain (other than those already mentioned): Sayyid Hussein al-Habashi, Shaykh Abid al-Maliki, Shihab Ahmad Abil Khair bin Abdullah Mirdad, Shaykh Mahmud al-Dasuqi and others. From al-Shaam: Muhammad Abil Nasr bin Abd al-Qadir al-Khatib, Badr al-Din al-Baybani, Yusuf al-Nabhani and others. From al-Maghrib: al-Tayyib al-Nayfur, Tahir Ibn Ashur, Ahmad bin al-Khayyat al-Zakari, Ma al-Aynayn al-Shinqiti, Muhammad Yahya al-Wallati, Muhammad al-Najjar al-Tunisi, Sayyid Makki bin Azuz. From Hadramawt and Yemen: Sayyid Muhammad bin Salim al-Sirri, Qadi Hussein al-Umari, Sayyidah Khadijah bint al-Sayyid Ahmad bin Muhammad al-Mihdar. He was described as being adorned with excellent qualities. He would stay awake at night making rememberance (dhikr), supplication (dua), recitation of the Quran and seeking forgiveness. He became well known for this due to his loud and prominent voice. His gatherings were keenly attended by both the major scholars and students beginning their quest for knowledge, such that there would be crowds around him. He would encourage his students to benefit from his guests who happened to be scholars, the result of which was that many students of the Haramain benefitted through his means. He had great love for the blessed Prophetic sunnah and would give it preference over any opinion, along with respect for the Imams of fiqh. Occasionally he would leave the dominant position of the school of Imam Malik and follow Imam’s al-Shafi, Ahmad or Abu Hanifah (Allah be pleased with all of them). His view on sadl was well known as he would fold his hands and not place them by the sides, he would also recite the ‘bismillah’ aloud. He remained attached to students of knowledge and would always encourage them to seek more and would aid them with his precious time. If he noticed students with ability he would give them special attention and guide them until they became scholars in their own right, such that he is credited with producing a number of brilliant scholars. As mentioned before he possessed a loud and clear voice. It is mentioned that in his gathering by the ‘Bab al-Umrah’ his voice would reach someone sitting by the ‘Bab al-Salam’. Sayyid Ahmad bin al-Siddiq al-Ghumari, Sayyid Alawi al-Maliki, Sayyid Shadhili al-Nayfur, Shaykh Hasan Mashat, Sayyid Arabi al-Tubbani, Shaykh Muhammad bin Nur Sayf al-Muhairi, Sayyid Abdullah al-Ghazi, Sayyid Muhammad bin Zabarah, Sayyid Abu Bakr al-Habashi, Sayyid Saalim bin Jundan Ba Alawi, Sayyid Makki al-Kattani, Sayyid Muhammad Baqir al-Kattani, Sayyid Abdullah bin al-Sidiq al-Ghumari, Sayyid Abd al-Aziz al-Ghumari, Sayyid Abd al-Hayy al-Ghumari, Shaykh Zakariyyah bin Abdullah bin Abdullah Bella, Sayyid Muhsin bin Ali al-Musawi, Shaykh Muhammad bin Abdullah al-Umari, Shaykh Hasan al-Yamani al-Taizi, Shaykh Ibrahim al-Khatani, Shaykh Salih bin Idris Kalantan, Shaykh Baqawban Nur al-Hakjawi, Shaykh Ali Uthman al-Kanfawi, Qadi Abd al-Hafiz al-Fasi, Shaykh Muhammad Yasin al-Fadani, Sayyid Abd al-Qadir Balfaqih al-Alawi, Sayyid Muhammad Tahir al-Dabbagh, Sayyid Muhammad Amin al-Kutbi, Shaykh Hussein Abd al-Ghani, Shaykh Ahmad bin Muhammad Mansuri, Shaykh Mahmud Zuhdi bin Abd al-Rahman, Sayyid Haamid al-Sirri. Due to his high rank, excellent qualities and deep learning he exchanged his chains of transmission for hadith with some of his senior teachers, amongst them: Sayyid Muhammad bin Jafar al-Kattani, Mahdi al-Wazzani, Sayyid Hussein al-Habashi, Shaykh Suleiman Hasballah al-Makki (Allah have mercy on all of them). Shaykh Umar bin Hamdan al-Mahrasi passed on to his Lord with 9 days remaining from the month of Shawal in the year 1368 Hijri. He had the great fortune to pass away in the Madinah the illuminated and was honoured with burial in the Baqi cemetery in close proximity the the Messenger of Allah (Allah bless him and give him peace) whose hadith he had devoted himself to. He did not leave behind any written works except a small collection of his chains of narration in which he limited himself to the mention of only some of his teachers who he transmitted from. He also left behind a large library containing rare works and manuscripts, some of which he meticulously personally copied out from the library of ‘Shaykh al-Islam Arif Hikmet al-Husseini’ in Madinah. Allah have mercy on him, reward him, be pleased with him and link us with him in this life and the next. Ameen. Extracted from ‘Nathar al-Jawahir wal-Durar’.